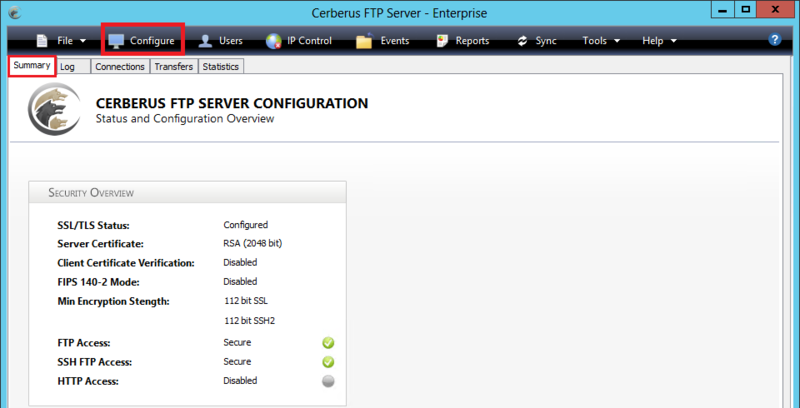 On the Cerberus FTP Server where you created the CSR, open the ZIP file containing your SSL and Intermediate Certificates and save the contents of the file (i.e. yourdomain_com.crt an XYZ.crt). Certificate: Click the folder to browse for and select your SSL Certificate (i.e. your_domain_com.crt). Private Key: Click the folder to browse for and select your private key (i.e. your.domain.com.key). 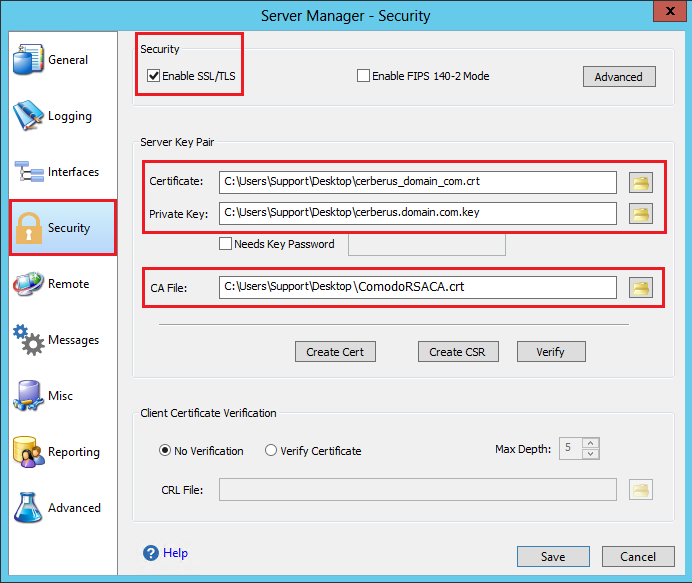 CA File: Click the folder to browse for and select the XYZ.crt intermediate certificate. 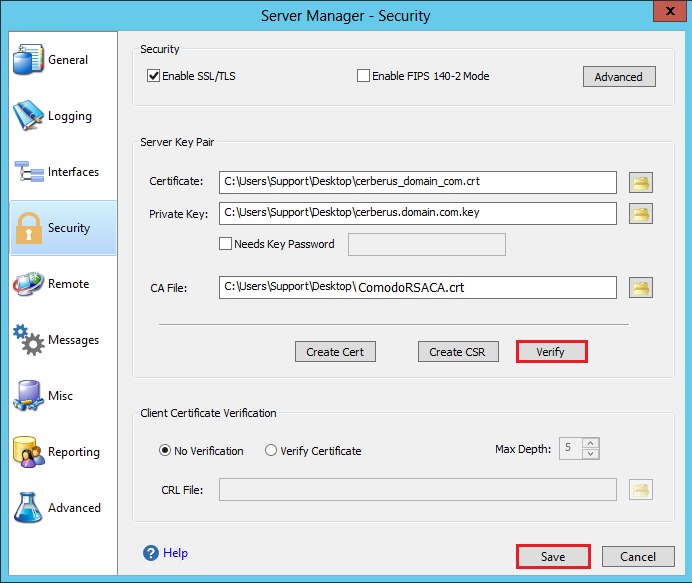 In the Server Manager window, on the Security page, click Verify to verify that you correctly configure the SSL Certificate.